Read Gerard's review of Apollo 11. A look at the Apollo 11 mission to land on the moon led by commander Neil Armstrong and pilot Buzz Aldrin. Apollo 11 is in Limited Release on March 1st, Everywhere March 8th, 2019. For as long as I can remember I have been fascinated by anything space related. I've always loved movies involving space travel. Whether it was Armageddon, Interstellar, or even the latest Lost in Space on Netflix, they represented a sense of adventure and unknown which excited and terrified me at the same time. 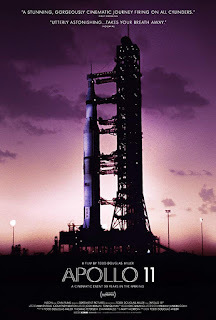 The documentary film Apollo 11, encapsulated both of those emotions for me, but in an entirely new way and I didn't know was possible. The story of Apollo 11 isn't just known, it is considered an major milestone in the history of our existence on planet Earth. So originally I had expected the usual talking heads explaining what happened through the process of the moon landing, which I already knew decently well. To my pleasant surprise, the entire film was comprised largely of never before seen footage from NASA themselves. There was no need for interviews, and no need for explanations. It was genuine footage from the event that allows you to follow the moon landing from start to finish. I was enthralled from the moment that rocket took off, to the the first steps taken on the moon, all the way until they landed safely back home on Earth. The abundance of footage allowed Todd Douglas Miller and his team to tell this story true, and tell this story right without the use of any bells and whistles. Feeling like I was there alongside the astronauts and mission control gave me all those feelings of excitement any other space exploration film has along with a sense of pride for my country. If you have the opportunity to see the film I would highly recommend it. Whether you love documentaries or not, it truly feels like you are watching the events unfold in real time. To be able to witness such a monumental moment in our history this way was a real treat and it gave me a new appreciation for what documentary storytelling can be. 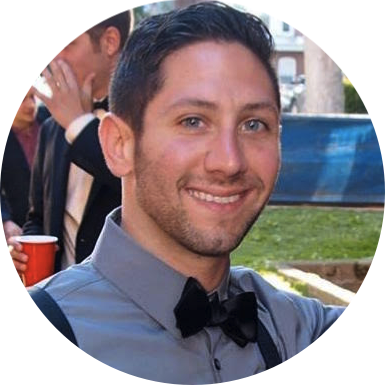 Gerard (Contributor) is a New York Native who has worked as a freelance contractor for television shows on Netflix, MTV, TLC and several other networks. You'll find him keeping up on the latest Game of Thrones theories, writing his own short films or re-watching The Office for the hundredth time. Fool me once, strike one, but fool me twice...strike three. Click Here to check out Gerard's Articles.